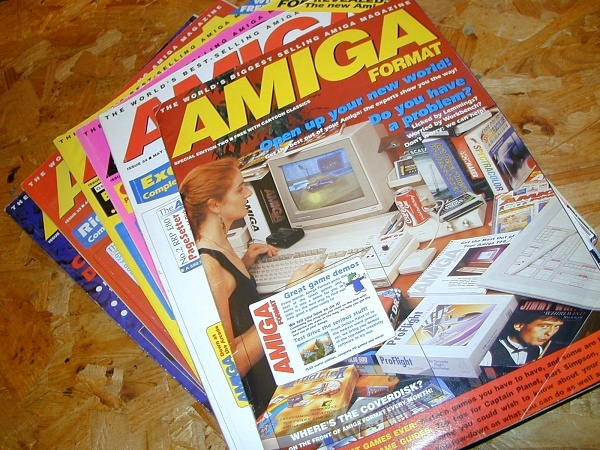 I have been searching the index and don't seem to be able to find Amiga Format Special Edition Two Free with Cartoon Classics. Just that I am about to scan the full 56 pages from cover to cover for my website and for the life of me I can't establish if there was a disk. I don't think so as I think the magazine was shipped with the Cartoon Classics computer box set as way of an introduction to the magazine. So it wasn't released with an addition of Amiga Format. Maybe your copy is in another section. Just need to establish there wasn't a disk really. All help appreciated. I am not much help, I only bought an A500+ this year and owned a 600/1200 back in the day. But, I watched a YouTube video a while ago where Dan wood reviewed the cartoon classics pack and talked at length about the magazine. So maybe you’ll find your answer in that vid. Interesting.. That is not the same magazine as the one I have. That is for WB 2.0 and mine is for WB 1.3 so my Workbench pages that he shows are blue in my copy. Cartoon Classics must have crossed over from 500 to Plus I am assuming. Appears to be 2 different versions of the magazine. WB 2.0 version has Bart Simpson game advertisement on the back cover. Does anyone have a PDF version of the WB 2.0 version. Am I missing something. In the mag it mentions, bart vs the spaceman. What the hell is that, a typo? ?